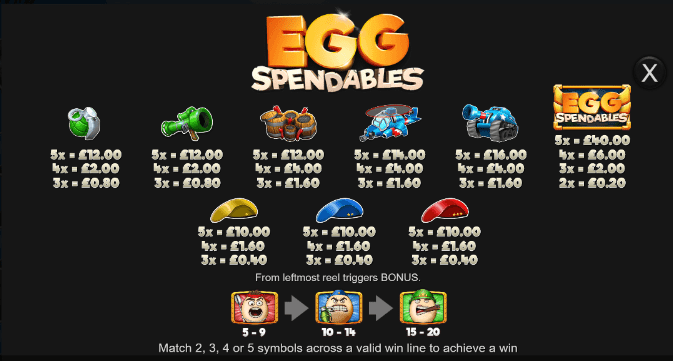 Think you have what it takes to join the ranks of the Eggspendables? Play to find out more! Stallone, Li, Rourke, Statham and Schwarzenegger, all names that are synonymous with action movies, specifically the Expendables movie franchise. 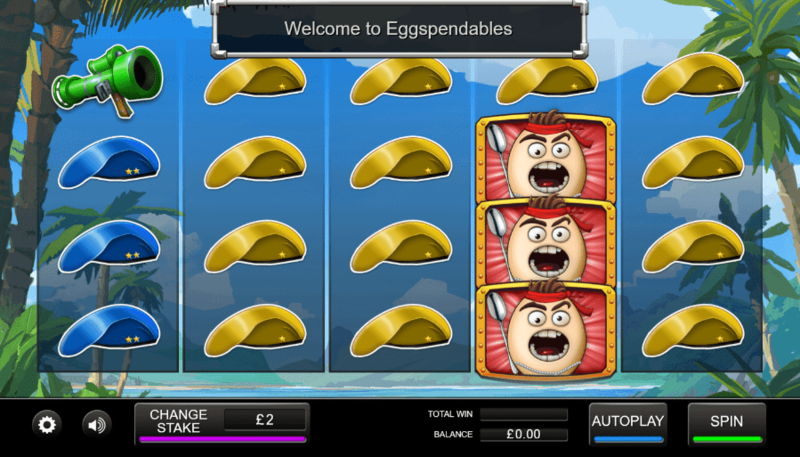 Well, if you’ve heard of them then you might have heard of the Eggspendables? They’re a food version of the names we just mentioned, and they actually have 3D video slots of their own courtesy of developer Inspired Gaming, who time and time again prove that no theme is too wacky or silly to check out. This is a 5 reel by 20 pay-line sort of slot, meaning it is quite simple to grasp for players of many different entry levels. If you are wanting to learn more about this slot then might we recommend you check out the rest of review below? And many, many more video slot game online! This slot takes place on a beach somewhere, seemingly in the middle of a tropical paradise — perhaps the cast have been called into action somewhere. We listed the top 10 best UK slots in our guide. Scatter: The scatter symbol is a unique symbol in that it will bring free spins to the player. The more scatters you can accumulate, the more free games you will earn. These free games come with multipliers, this is why they are so useful as they can turn good scores into great scores! Wilds: To get more scatters into the fray, then you are going to want to be matching the most common of all additional features here, which just so happens to be the wild symbol. Wilds will substitute for every other symbol bar the scatter when matched.